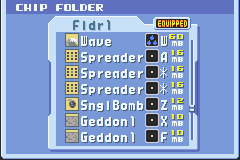 I updated the Navi Randomizer (specifically Navis, not Viruses) to make sure that you don't encounter bosses that are too overbearing for those points in the game. 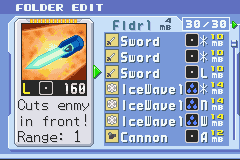 Omega Mode does not affect this, but the encounter level is taken into account, so if the fight is naturally Omega level, expect any Navi except Serenade, Bass, and Alpha. I should've done this a long time ago. 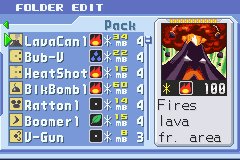 I also added Recov10 * to the BMD randomizer. 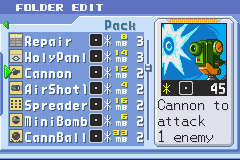 PanlOut3 * and CopyDmg * get read but don't seem to randomize for some reason so I'm assuming I'm missing offsets somewhere. Ah well.